We love spring crafts! The bright, beautiful colors, along with flowers and bunnies, make everything cheerful. 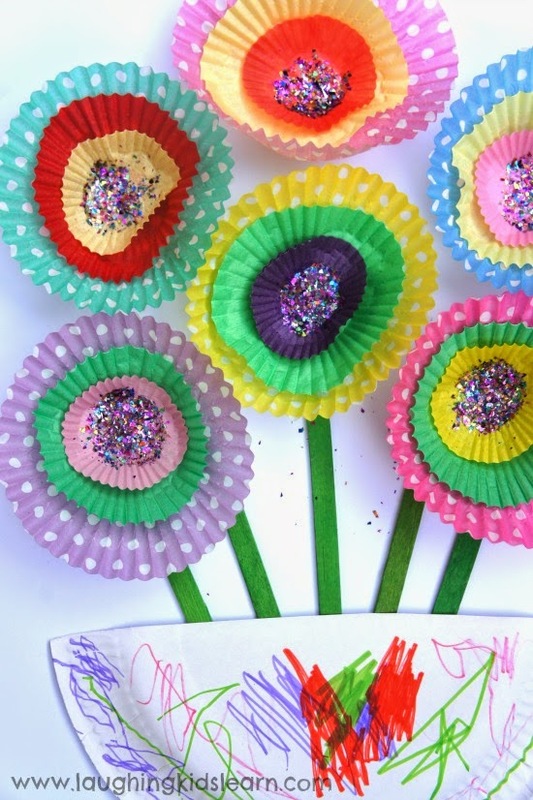 Here are some great ideas for the little ones, and even the big ones, to get creative this Spring! There is nothing more perfect than kite flying on a windy day in Spring! 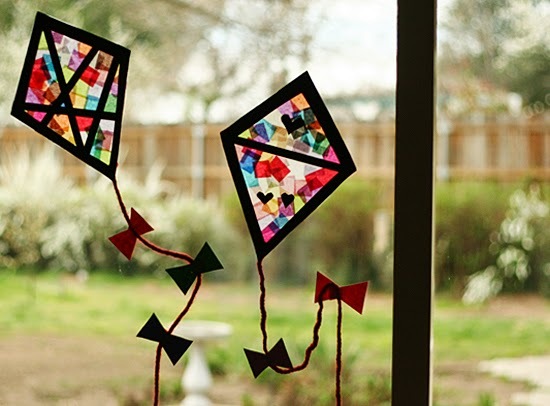 While you wait for a windy day, have your little ones decorate the windows with these super-easy, no-mess, cute and colorful tissue paper stained glass kites from Make and Takes. Spring is about blooming flowers and bright colors. Here is a great, simple craft for children, especially toddlers or preschoolers, from Laughing Kids Learn. It teaches them about the beauty of Spring and how seasons change over time.